Emerson New Jersey The quintessential Suburban Community of Emerson in Bergen County New Jersey has a closely knit population that truly deserves its reputation as "The Family Town". 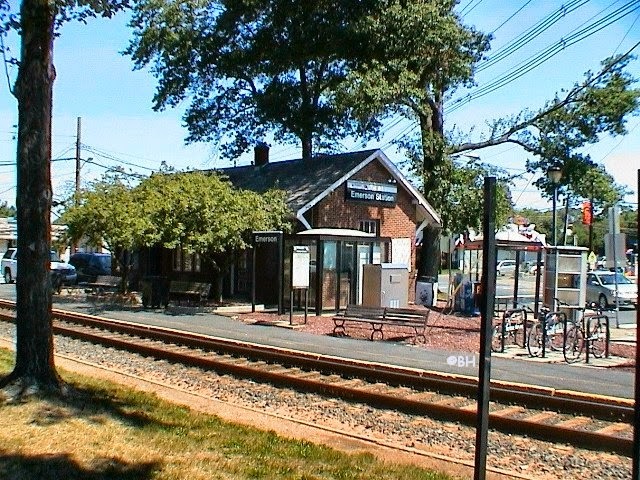 Like so many of the Pascack Valley towns, the town center revolves around it's transportation link to NYC with a quaint Train Station and convenient strip of shops and Restaurants. The town main strip has undergone many changes in recent years with an updated New Emerson Pharmacy, affordable Senior Housing Complex as well as the The Stop and Shop strip mall on Kinderkamack Road. This mall is a super convenience to the local residents of the Emerson community. The Emerson Schools are highly rated and enjoy a rich Sports program.